© Shelby Gibson. All rights reserved. 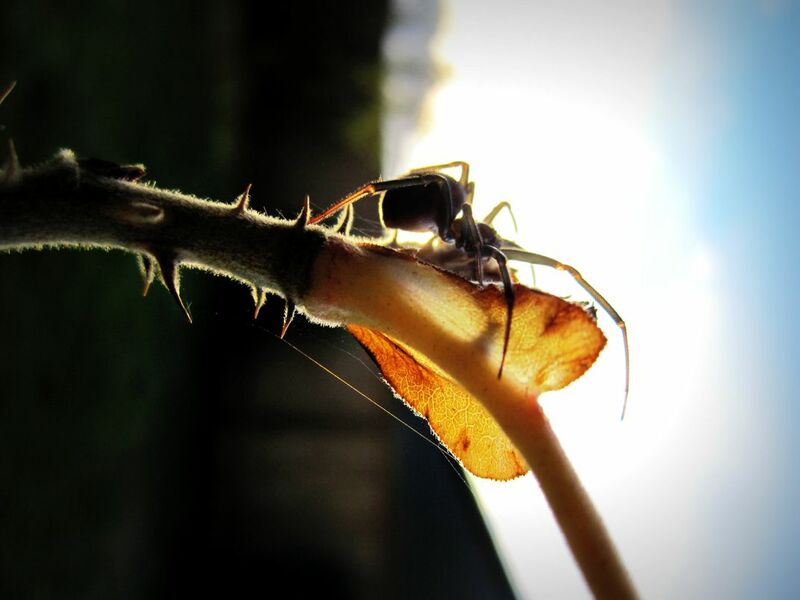 A spider climbing up the stem of a rose bush.